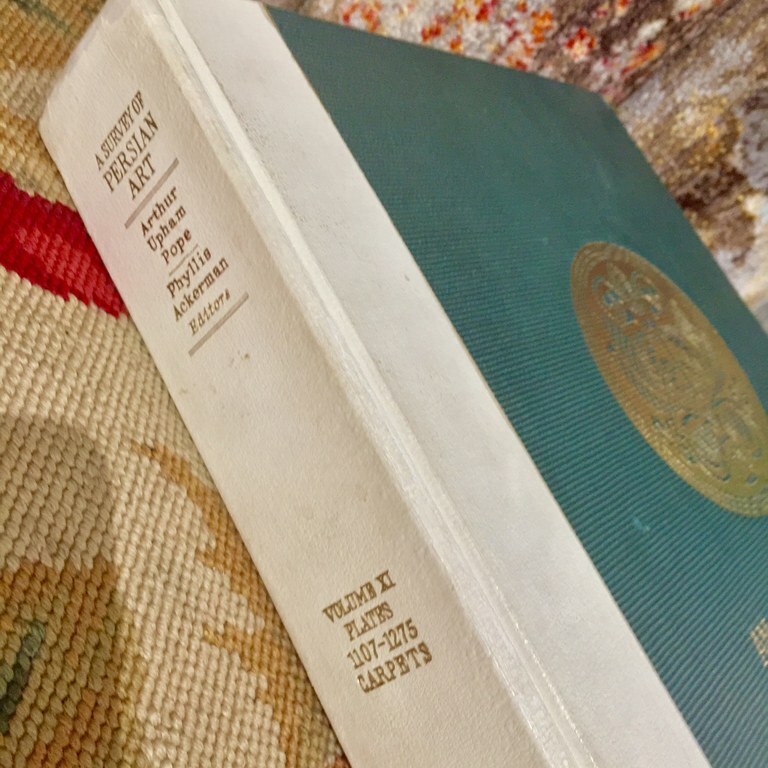 Ghorbany Carpets recently added the “Survey of Persian Art” written by the esteemed Iranian Art connoisseur, Mr Arthur Upham Pope, to our Library collection. Anyone who loves and studies Persian carpets eventually find their way to this extraordinary person who dedicated his life to studying and documenting Persian carpets. Arthur Upham Pope was born in Rhode Island in 1881. He graduated from Worcester Academy in 1899 and Brown University in 1904. He taught there for two years and received a master's degree in 1906. He pursued further graduate work at Cornell University and Harvard University and again taught at Brown until 1911, when he was hired by the philosophy department at the University of California, Berkeley. He soon gave up teaching philosophy and pursued his passion for Persian art, which had begun with an early interest in Oriental rugs. He had organized his first museum exhibition of Middle Eastern carpets while still an undergraduate at Brown. Following a divorce from his first wife (who later became the author Bertha Damon), in 1920 Pope married his former student Phyllis Ackerman (1893-1977), who had completed a doctorate in philosophy at Berkeley in 1917 and shared his interest in textile arts. They had collaborated on an exhibition of the Phoebe Apperson Hearst collection in 1916 at the Palace of Fine Arts, San Francisco, and they continued to be partners in many projects for the rest of their lives, each crediting the other with greater expertise. By the early 1920s, Pope and Ackerman had developed a great deal of expertise as historians of Persian and related art, and they became advisors to major collectors and museums on the acquisition of Islamic art and artifacts. Pope's museum clients included the Metropolitan Art Museum, Art Institute of Chicago, and Philadelphia Museum of Art. He also advised wealthy individual collectors including Calouste Gulbenkian, William Randolph Hearst, George Hewitt Myers, and John D. Rockefeller, Jr. In 1923, Pope was appointed director of the not-yet-opened California Palace of the Legion of Honor, Ackerman was named assistant director, and the two traveled in Europe to develop a collection for the new museum. Before long, however, their relationship with Alma Spreckels, patron of the museum, deteriorated and they resigned. Pope remained interested in museum planning, publishing an article on "Museum fatigue" in 1924 and writing and lecturing about a new museum plan for San Francisco. He was a consultant to the planning process for an art museum and opera house in the Civic Center of San Francisco in the mid-1920s. In 1924 Pope and Ackerman bought the house in San Mateo, California they called "Scholars' Cottage" from its architect and first occupant, Ernest Coxhead. They sold it in 1943 and it later became a state and national historic landmark. Pope made his first trip to Iran in the spring of 1925. He gave a speech urging Iranians to appreciate the architecture of their past and to use it as inspiration for modern buildings. Reza Shah Pahlavi, then prime minister and later Shah of Iran, heard the speech, met Pope, and began taking a personal interest in Persian architectural restoration and revival. He authorized Pope to enter key mosques to study and photograph their architecture and became a lifelong supporter of Pope's pursuits in the field. In 1926, Pope helped design the Persian pavilion and organized an exhibition of Persian art for the Sesquicentennial Exposition in Philadelphia. That year he also organized the first international congress on Persian art; he would lead four more of these congresses over the next 40 years. By 1927, he and Phyllis returned to San Francisco and pursued additional design projects, including an ornate Persian-palace-style interior for the penthouse of the Fairmont Hotel in San Francisco and the interior of the Ahwahnee Hotel in Yosemite National Park, where they made extensive use of Middle Eastern kilims as well as Native American artifacts. In 1928, Pope founded the American Institute for Persian Art and Archaeology, which was incorporated in New York City in 1930 and later became the Asia Institute. He enlisted other scholars to teach and conduct research under the auspices of the institute, and he led numerous trips to Iran from 1929 to 1939 to photograph art and architecture and participate in archeological excavations. 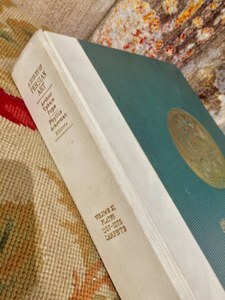 The six-volume Survey of Persian Art from Prehistoric Times to the Present was published by Oxford Press in 1938-39, and Pope and his colleagues arranged for several exhibitions of Persian art in the U.S. and Europe to coincide with the publication. 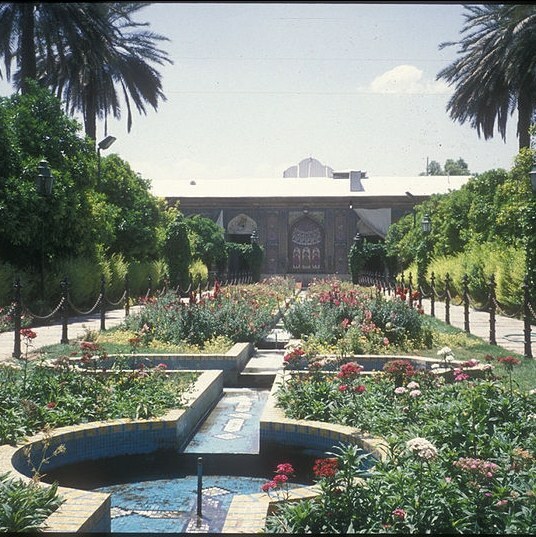 In 1964, during a state visit to Iran, Pope and Ackerman were formally invited to move the Asia Institute to Shiraz, Iran, where it would be affiliated with Pahlavi University and housed in the Narenjestan. They accepted the offer and in 1966 moved to Iran, where they would spend the rest of their lives. 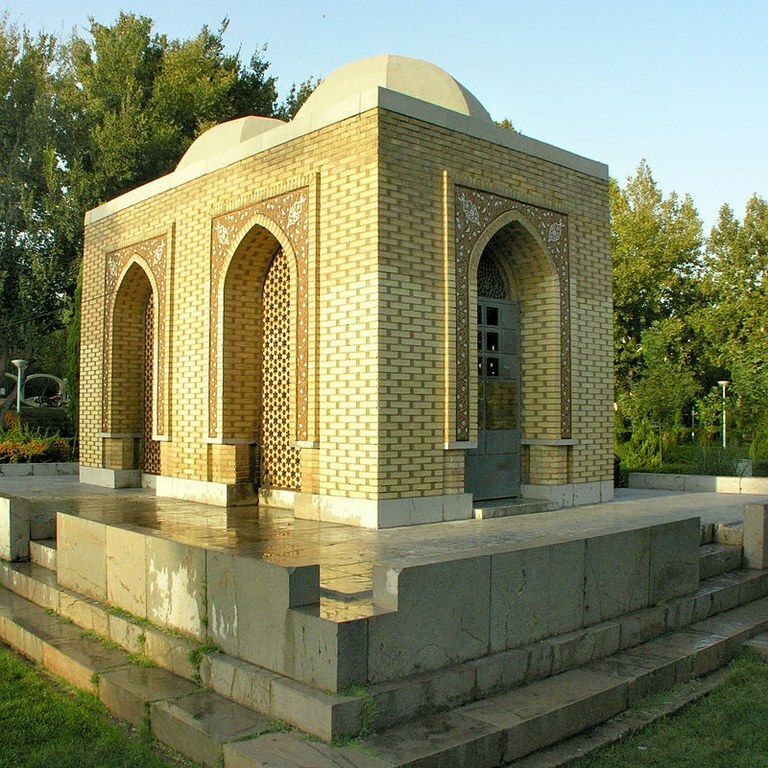 Their remains lie in a mausoleum on the bank of the Zayandeh River in Isfahan close to Khaju Bridge. The Asia Institute became a part of Pahlavi University and gradually declined, especially after the Islamic revolution in 1979. Eventually, the Bulletin of the Asia Institute was revived in Michigan in 1987. In 2010 the Art Institute of Chicago, one of the museums Pope advised, presented an exhibition, "Arthur Pope and a New Survey of Persian Art", curated by Yuka Kadoi. In conjunction with the exhibition the museum held a symposium in which international scholars of Persian art discussed the life, achievements and influence of Arthur Upham Pope. 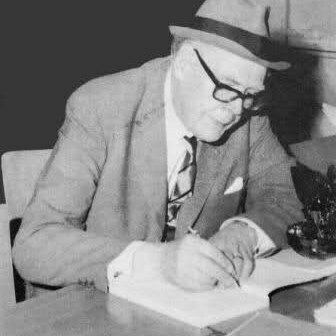 Although Arthur Pope was a controversial figure in those days, his contribution to the cataloguing and determining of origins of Oriental rugs have greatly assisted current day Persian carpet enthusiasts to further their own studies in this art and to add pieces of great value to their collections.